Sometimes it takes a little effort to get into the holiday spirit and we find that the best way to pull out your inner-Scrooge is to get to a holiday play or musical! Yesterday, a handful of TA Staff members joined theater group, Theatrical Outfit, for their production of The Gifts of the Magi. Whether you’ve heard the story a dozen times or you experience it for the first time, the 6 member cast definitely brings out the best of the classic tale. Their voices are strong, their timing on par, and the intimate setting makes you feel like you’re part of the bunch! The 90 minute play is filled with emotional song and dance. While the story is heartfelt, actors Glenn Rainey, Jeff McKerley, and Adrienne Reynolds certainly bring out the lighter comedic elements. It’s a perfect family outing and will bring up some great discussion points with older children. 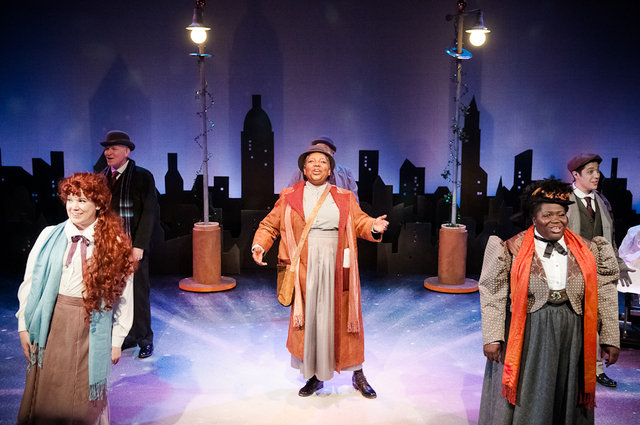 See The Gifts of the Magi on stage at The Balzer Theater at Herren’s now through December 23rd!